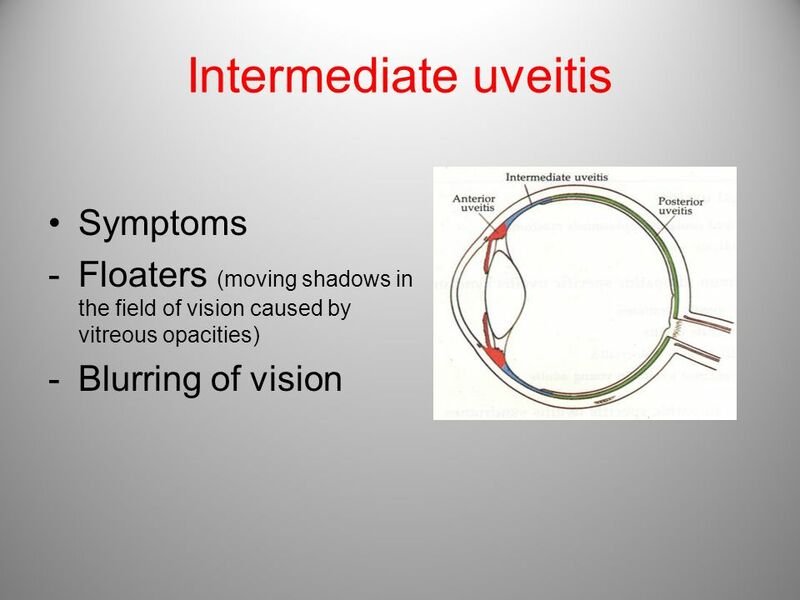 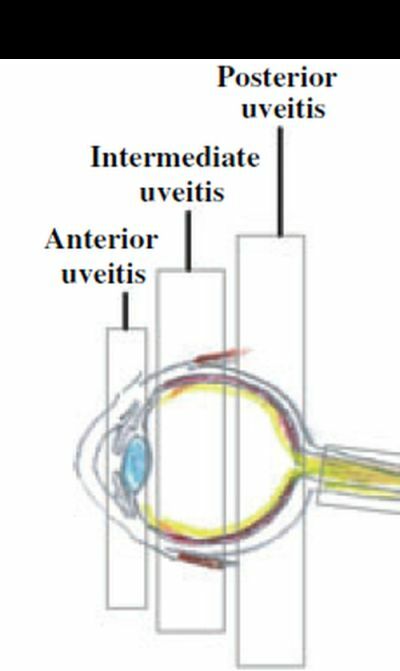 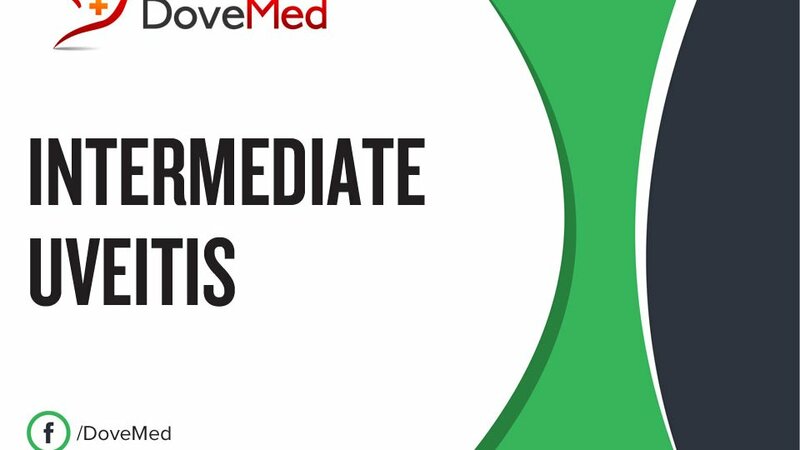 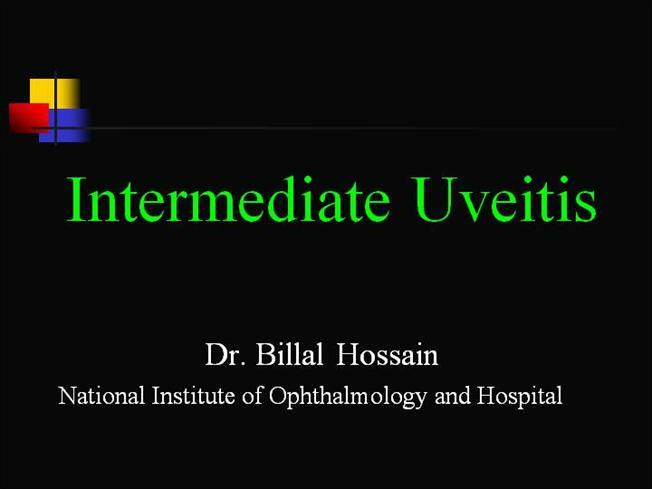 Intermediate uveitis is a form of uveitis localized to the vitreous and peripheral retina. 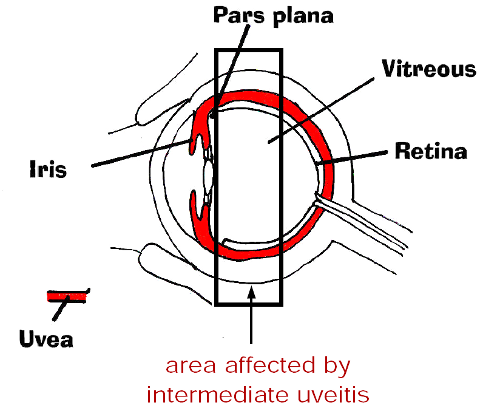 Primary sites of inflammation include the vitreous of which other such entities as pars planitis, posterior cyclitis, and hyalitis are encompassed. 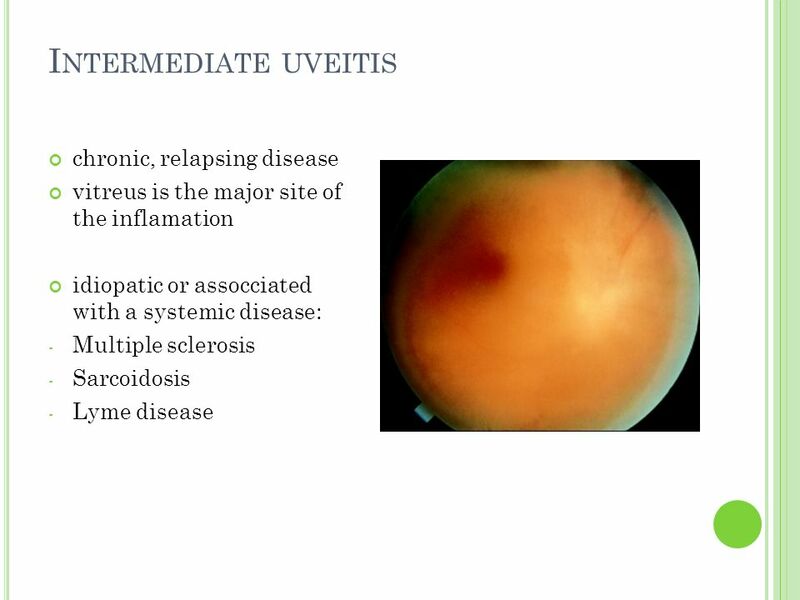 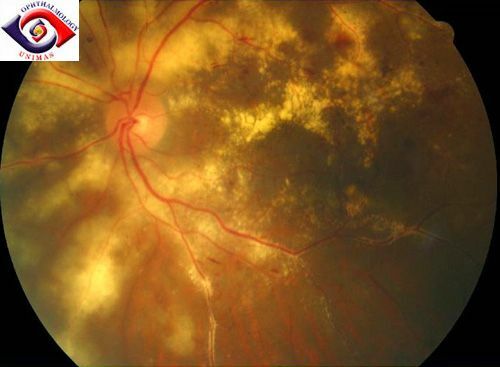 Intermediate uveitis may either be an isolated eye disease or associated with the development of a systemic disease such as multiple sclerosis or sarcoidosis. 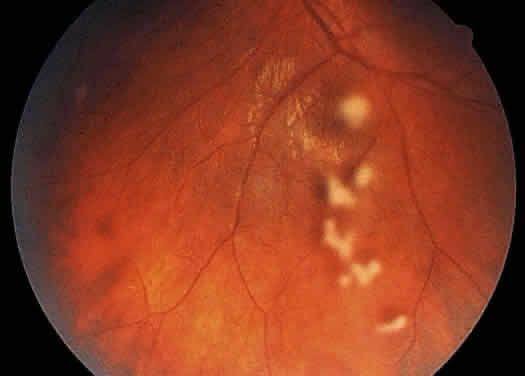 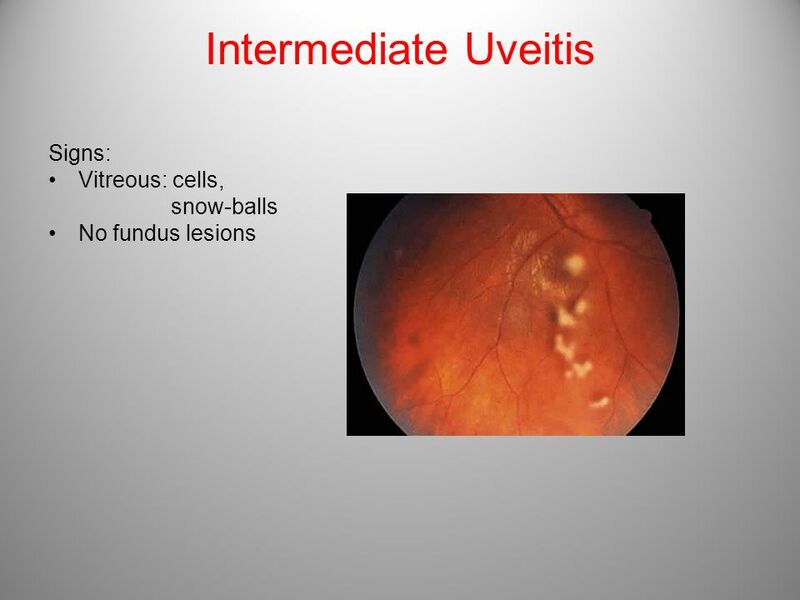 As such, intermediate uveitis may be the first expression of a systemic condition. 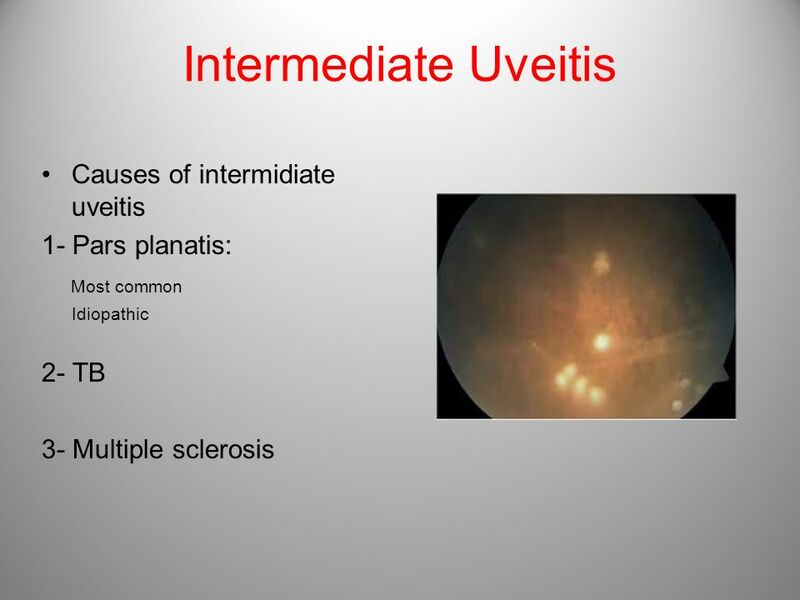 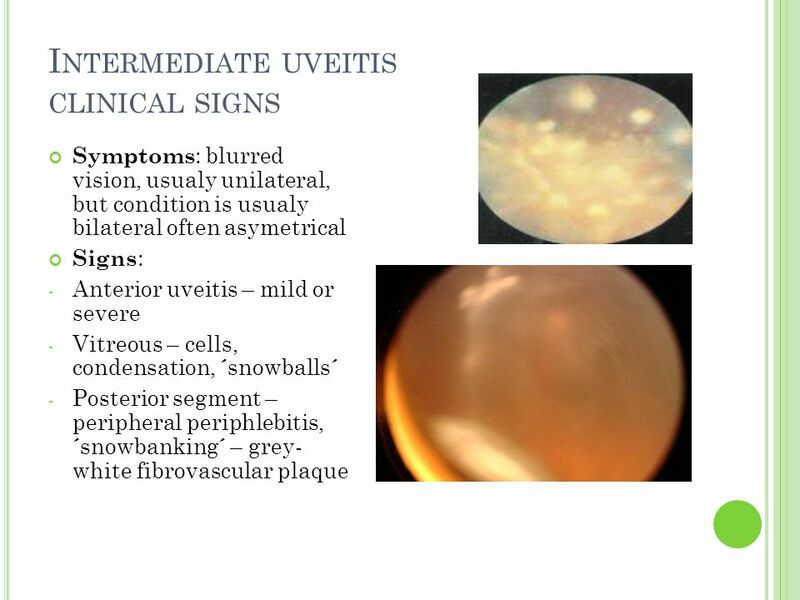 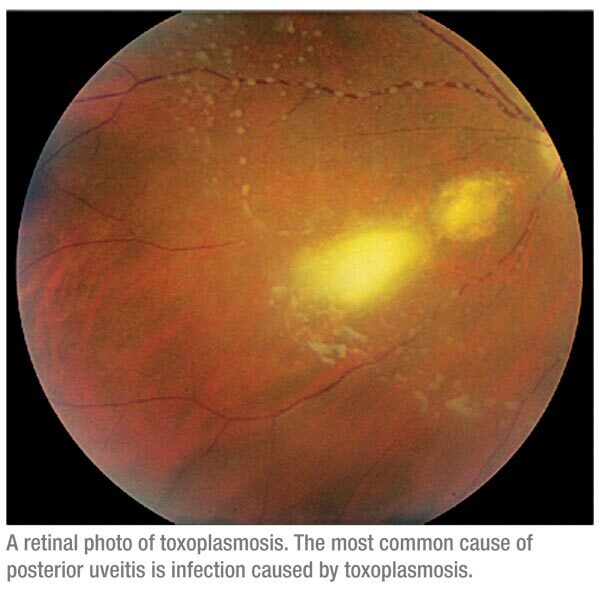 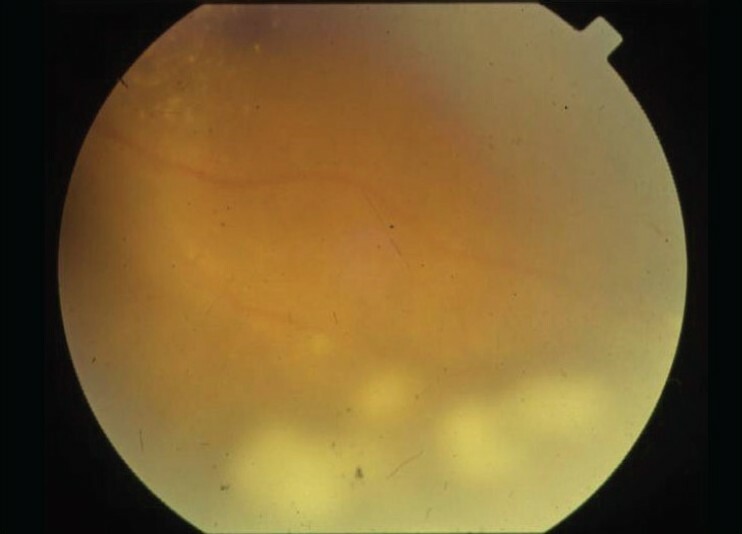 Infectious causes of intermediate uveitis include Epstein-Barr virus infection, Lyme disease, HTLV-1 virus infection, cat scratch disease, and hepatitis C.